A warm, friendly and dynamic team await you at the ibis budget Besançon Nord Ecole Valentin hotel, here to attend to all your needs and ensure that you have an enjoyable stay. See you soon! 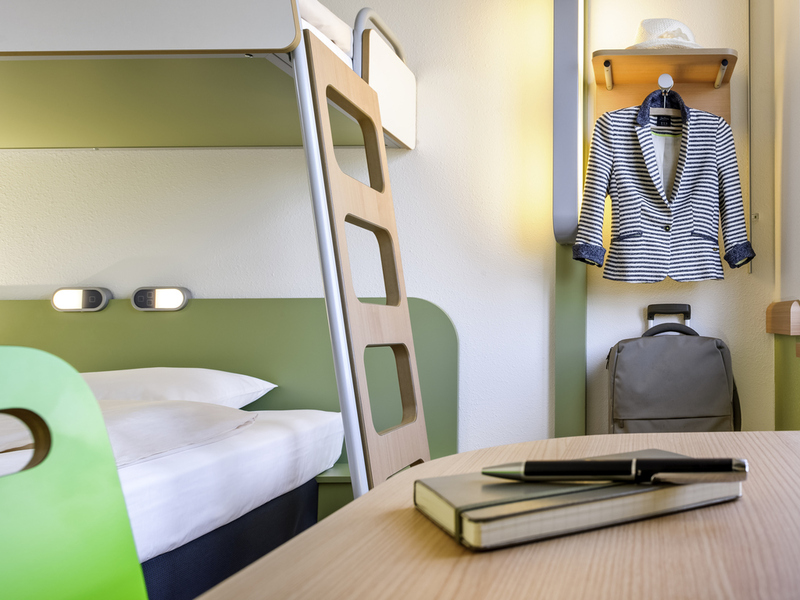 Situated on the outskirts of Besançon, the ibis budget Besançon (formerly Etap Hotel) offers easy access to the city center and major highways. If you are visiting the Jura Wine Route or even Besançon citadel, take a break at budget prices in our economy hotel, rooms for 1, 2 or 3 people, WIFI, a private car park and a delicious breakfast at a smart price.